This time of the year, it's natural for Thoroughbred owners with promising sophomores to begin having Kentucky Derby hopes and dreams and Jeff Bloom is no exception. Despite having raced exclusively on turf, he's giving dual stakes winner Henley's Joy the chance to prove himself on the main track in Saturday's Grade II $400,000 Risen Star Stakes at the Fair Grounds. Trained by Mike Maker, Henley's Joy has shown talent in his six career starts. 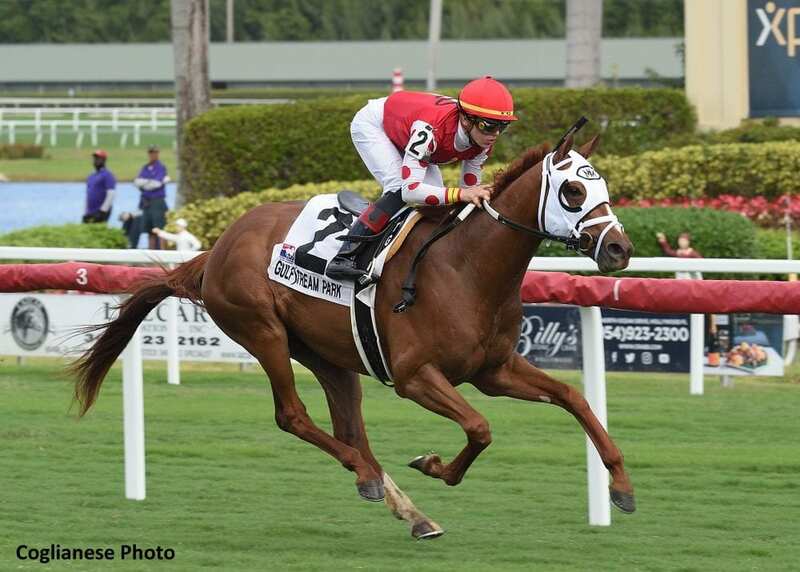 Aside from a well-beaten 13th in the Grade I Breeders' Cup Juvenile Turf at Churchill Downs, the son of Kitten's Joy has never been beaten by more than a neck and has won a pair of stakes on grass, most recently the Pulpit Stakes at Gulfstream Park on December 8. Bloom is aware that the main track is a whole different ball game, but he's willing to give it a try. As an experienced Thoroughbred owner, Bloom knows that this is the right spot on the calendar to try some experimenting and figure out what a good 3-year-old is really made of. finished ahead of eventual Grade III Lecomte Stakes winner War of Will in the Grade III Bourbon Stakes at Keeneland, when running a close second and 2½ lengths in front of War of Will who was fourth. Henley's Joy will be ridden by Manuel Franco. Bred in Kentucky by Ken and Sarah Ramsey, Henley's Joy is out of the Bluegrass Cat broodmare Bluegrass Music, who was a three-time winner on dirt. He comes from the same family as multiple Grade I winner on turf Golden Pheasant as well as Grade III dirt winner Time's Mistress. He was purchased for $50,000 from the Ocala Breeders Sales Company's Two-Year-Olds in Training Sale last April where he was consigned by Cary Frommer. This entry was posted in NL List, Triple Crown and tagged fair grounds, Henley's Joy, jeff bloom, kentucky derby, kitten's joy, mike maker, pulpit stakes, Risen Star, Risen Star Stakes, thoroughbred, Triple Crown by Ryan Martin/Fair Grounds. Bookmark the permalink.